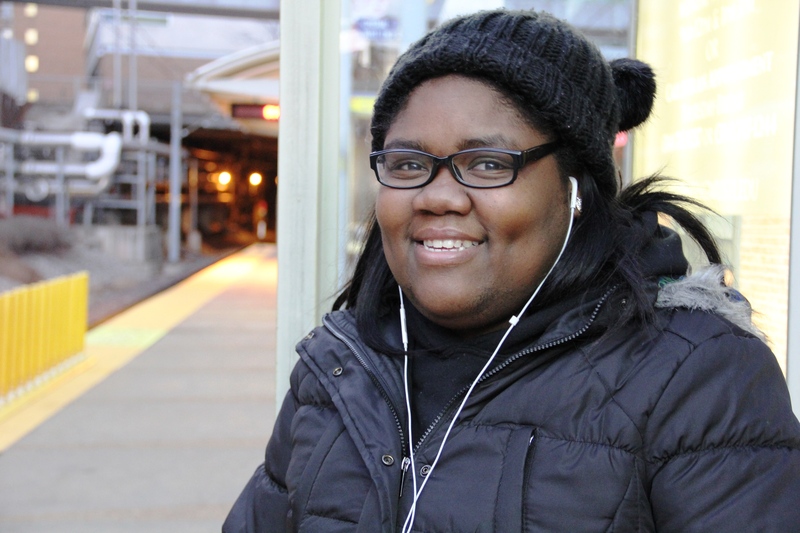 Passengers like Shawntia depend on Metro transit to get to work, school and other important destinations. We hope you enjoy her story, and we’re interested in your transit story too. Email mrhibbard@bistatedev.org, and we may share your story in a future “Passenger Profile. Shawntia’s work commute takes her to Manchester during the week, and it’s a trip she could only accomplish with the help of Metro. Shawntia started riding Metro about a year ago and uses the bus and train to get to work and visit family and friends. Her normal commute begins by hopping on the #95 Kingshighway and riding the bus to the Central West End MetroLink Station. From there, she boards a Blue Line train to the Maplewood-Manchester MetroLink Station where she catches the #57 Maplewood-Wildwood to reach her final destination. If Shawntia is coming from her mom’s house, she rides the #11 Chippewa to the Union Station MetroLink Station. Shawntia enjoys listening to music during her commute. With about a year of experience under her belt, Shawntia has two transit tips for new passengers.